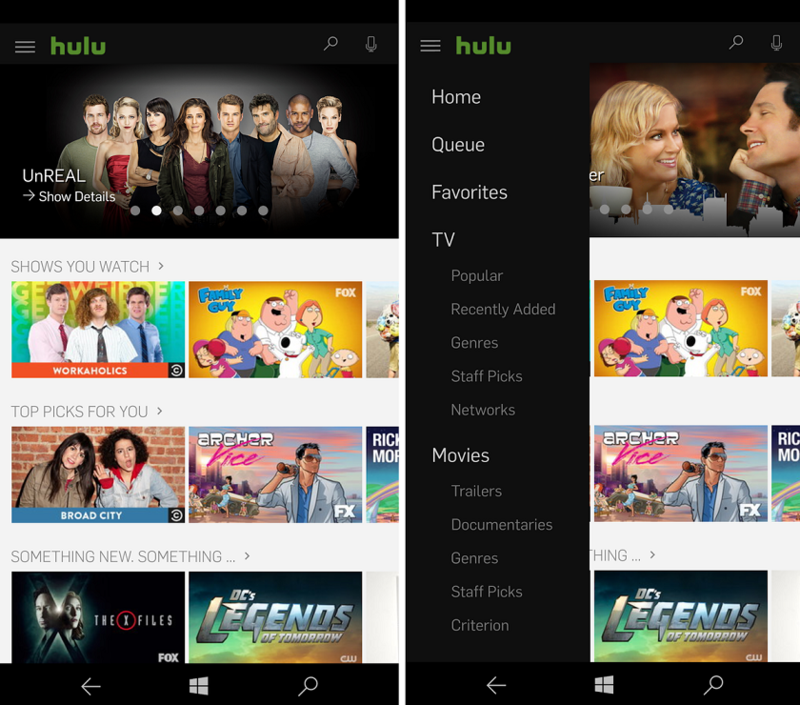 The new Hulu app features a new split-view design, improved streaming codec support and excitingly the ability to pin Live Tiles of the app and individual shows to your Start screen. Those Live Tiles will then show you new episodes and update general information. Users can also share and favorite shows from within the app as well. Hulu for Windows 10 even adds support for Cortana improving the overall user experience. A Hulu app optimized for the Xbox One is expected later this year once Microsoft enables Cortana support for the Windows 10 gaming console. Overall, the new Hulu experience is fantastic as the app now scales text and video correctly for high DPI displays e.g. 4K laptops.